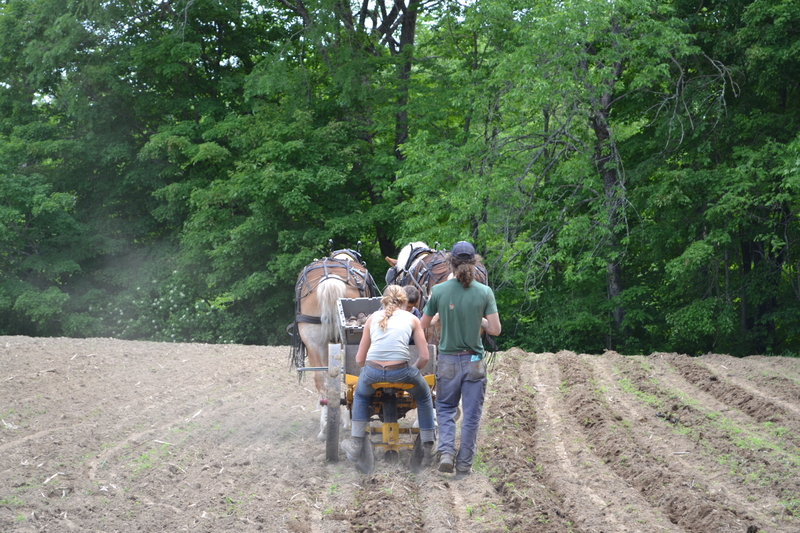 We are a 600 acre certified organic farm in Albion, Maine. Our focus is producing high quality staple foods that satisfy all the requirements of a healthy, balanced diet. 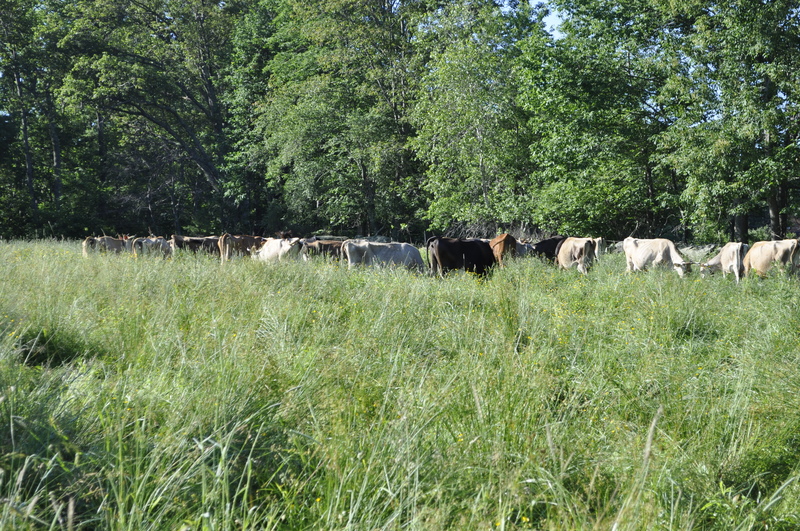 Certified Organic 100% grass-fed raw Jersey cow’s milk and cream, 100% grass-fed beef, pasture raised pork, milk-fed rose veal, pasture raised soy-free eggs, vegetables, stone milled whole grain flours, dry beans and more! None of our cow’s receive any grain. 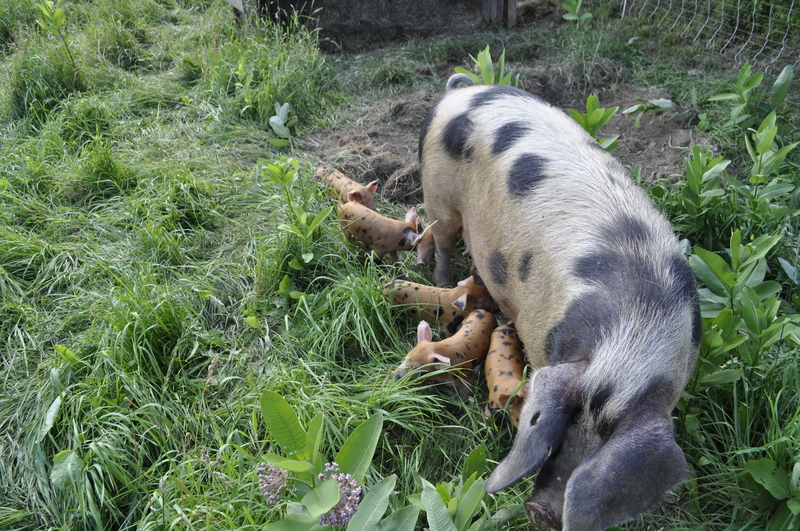 To supplement the pasture based forage, our pigs are fed certified organic soy-free grain on a free choice basis as well as our own milk-soaked home grown whole grains! 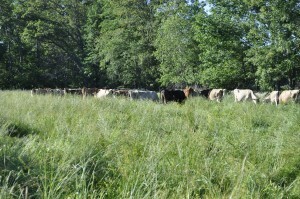 We use our own compost from animals and plants to enrich the soil and promote healthy pastures. Our compost is enlivened by Biodynamic preparations to encourage healthy microbial activity and create a balanced organic fertilizer. 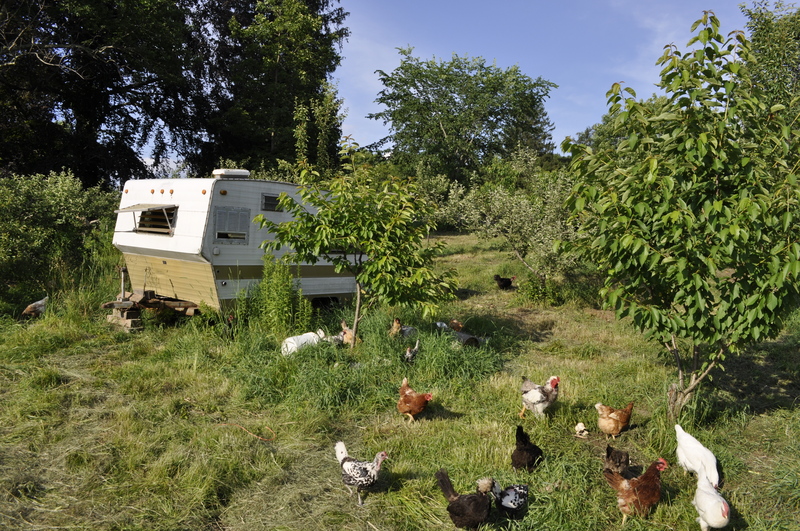 Our crops and animals move across the farm in a rotation. This keeps both the crops and animals disease free and prevents soil depletion. The crops are the breath of the farm, and the animals are the heartbeat! This entry was posted in Homepage Slider on January 21, 2014 by katia. Nothing beats picking up fresh farm goodies (whether it’s our milk, meat, eggs, vegetables or grains that move you) straight from the land and people that produced it. We love meeting our customers–come check out what we’re up to! This entry was posted in Homepage Slider on May 5, 2013 by katia. 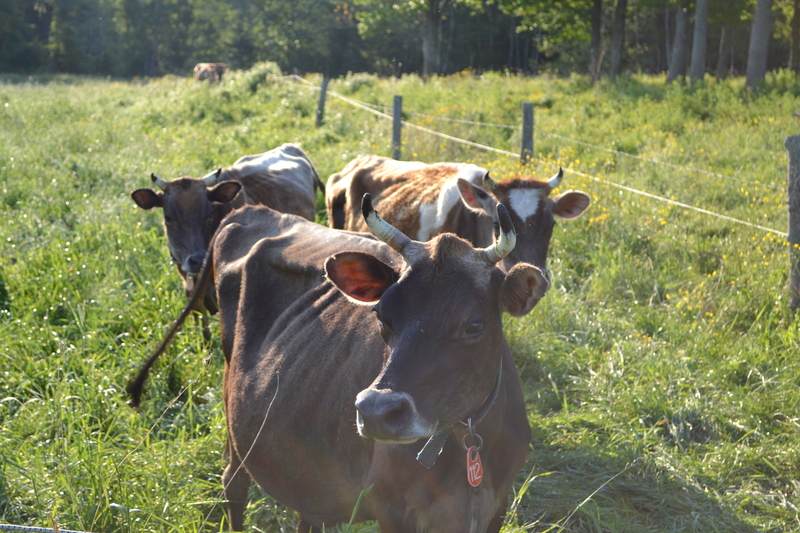 Our certified organic herd of Jersey cows is 100% grass-fed. They make stunning milk and cream which we sell raw in our farm stand, at farmers markets and in natural foods stores around the state. High in vitamins, minerals and beautiful golden butter fat–our cows will surely win your heart! For a list of stores in addition to our farm shop where our milk is sold, click here! This entry was posted in Homepage Slider on April 28, 2012 by mistybrook. We’re the Holmes Family: Brendan, Katia and our three boys, Alister, Johnny, and William. 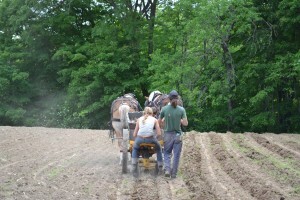 Brendan and Katia started farming in central Massachusetts in the early 2000s. We were renting land from 14 landlords in four towns! We had wonderful customers who drove a long way to our farm shop because they loved our products. 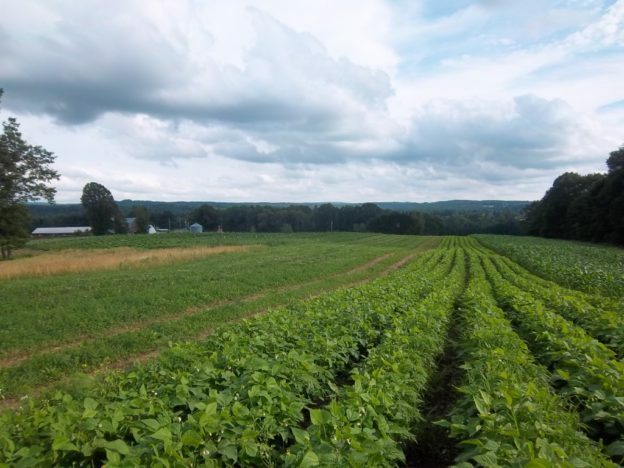 After eight years, we found this beautiful 400-acre farm in Albion, Maine and moved up here. We still have a farm shop, but our main focus now is on wholesale. 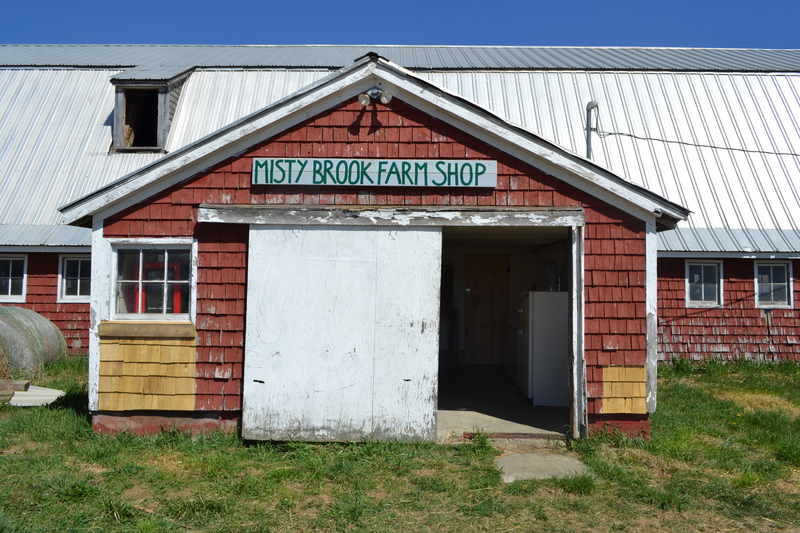 We deliver to natural food and local foods stores all over Maine, as well as restaurants, caterers, and buyers clubs. Our son, Alister, is getting into the family business, growing vegetables and learning how to sell them at farmers markets. You’re welcome to visit any time, and, if we’re here, we’d be glad to show you around.